Accurate Dating of Bone Ornaments by scientists associated with the National Museum of Natural History in Paris. Details of the new dating were published in a paper for Cambridge University’s archaeology journal Antiquity (August 8th, 2017), the research team place modern humans at Brazil’s Santa Elina rock shelter significantly earlier than 20,000 years ago. The Santa Elina rock shelter, in Central Brazil, is home to extraordinary rock art and evidence of lengthy occupation by the first Americans. Occupation of the site is dated to several different periods, suggesting that groups of hunter gatherers only dwelt at the site when climate favoured hunting in the region. The irregular periods of occupation spread across the Late Pleistocene and Late Holocene. 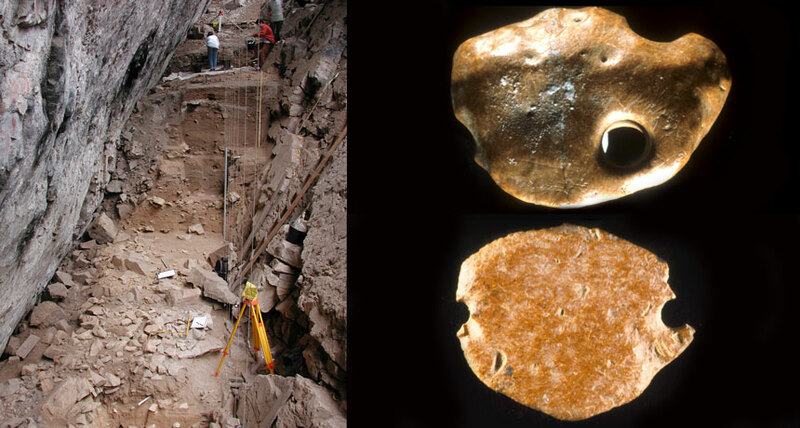 For many years now teams of archaeologists investigating ancient human occupations sites across Brazil have produced evidence of extremely early colonisation of this part of South America. 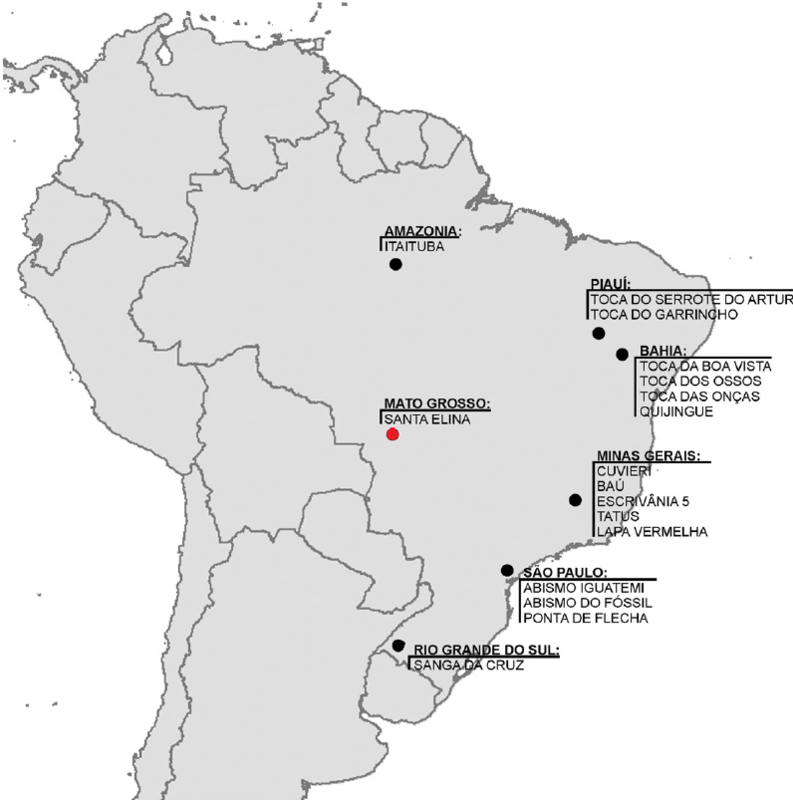 The earliest dates associated with Brazilian archaeological research are close to 60,000 years ago. However such extreme figures for colonisation remain highly controversial. 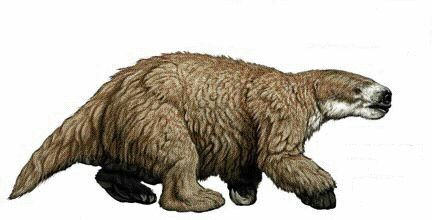 Excavations carried out at the Santa Elina rock shelter between 1984 and 2004 explored three sediment layers containing the remains of hearths, stone artefacts and bones associated with the extinct giant sloth species Glossotherium. Several of the bony plates from the sloth skin had been converted into ornaments of some kind by the resident humans, the added notches and holes may have allowed these plates to be worn on the body. Scientists utilised three separate dating methods to investigate samples of charcoal, sediment and the sloth bones. The revealed dates securely place people at the Santa Elina site well over 23,120 years ago. Humans groups abandoned the site after a short period, but later groups utilised the rock shelter again between 10,120 to 2,000 years ago. The new dates from Santa Elina further erode the consensus understanding that the first modern humans, known as the Clovis people, reached the Americas by walking across a land bridge between Northeast Asia and North America just 13,000 years ago. In recent years a steady series of archaeological finds have caused a growing number of archaeologists to abandon the ‘Clovis first’ colonisation model. The evidence of hunter gatherers living in the Santa Elina rock shelter 23,120 years ago is highly problematic for scientists that still believe humans reached the Americas by walking into North America – the rock shelter is over 12,000 kilometres from the proposed entry site. Not only is Santa Elina far from the earliest Clovis sites, but it is also over 2000km from the coast in a heavily forested region. These facts call into question the way in which the American continent was colonised as it is logical to suspect that humans lived along the coastline long before making the arduous journey into the Brazilian interior 23,120 years ago. A growing number of researchers suspect that the first settlers used canoes to colonise the Americas and perhaps drifted down the Pacific Coast in simple watercraft before heading inland. Some South American sites once occupied by Stone Age people are closer to the Atlantic coast, raising the possibility of the first colonisation involving a movement of people from Africa. This article was originally published at Ancient News, and has been republished with permission.